Courtesy of Coldwell Banker Residential. Opportunity of a lifetime to own the architectural masterpiece Wyldwoode by Harrie T. Lindeberg on 8.94 lakefront acres, including 2 subdivided lots. Built for steel tycoon, Clyde Carr, the Y shape design allows for spectacular lake views & full privacy. Guests are welcomed through the bronze metal front door with zodiac & other symbols designed by Oscar B. Bach. Elegant, gracious living is reflected through the wonderful blend of classic detail & comfortable floor plan. The dining room features a barrel plaster ceiling, while the living room has an exquisite marble ox blood mantel fireplace. The Oval Office on the 2nd floor has views of the lake. The master suite w/ his and hers baths & sitting room. The 3rd floor where you find the high frontier bar. Home has 12 fireplaces. This compound is comprised of a grand & important home, 5 garages, pool, pool house & guest building attached by a breezeway. Lindeberg homes extend from South Hamptons to Lake Forest. 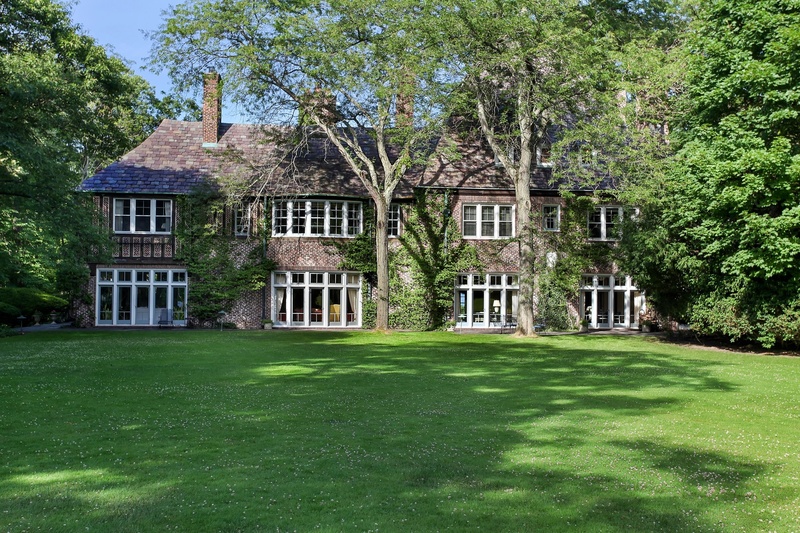 Please, send me more information on this property: MLS# 10010982 – $15,000,000 – 55 North Mayflower Road, Lake Forest, IL 60045. I would like to schedule a showing appointment for this property: MLS# 10010982 – $15,000,000 – 55 North Mayflower Road, Lake Forest, IL 60045.